Hello everyone! 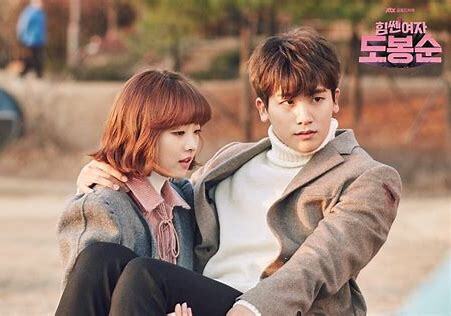 On this post, I would like to give you 5 most recommended Korean Drama that I’ve ever watched. Something in the Rain or the other name for this drama is Pretty Noona Who Buys Me Food. The main characters of this drama are Son Ye Jin as Yoon Jin Ah and Jung Hae In as Seo Joon Hae. This drama was the winner of Excellence Award for Korean Drama in 13th Seoul International Drama Awards. I just watched this drama this month. It’s a new drama that released in 2018. It has 16 episodes in total and approximately 65 minutes for each episode. I don’t know why I got interested with this drama. Maybe because of the cute poster and the title of this drama. When I watched this drama, what I found unique is the soundtrack. Usually, Korean drama will use Korean language for the soundtrack but not for this. Something in the Rain used English language for the soundtrack. Rachael Yamagata - Something in the Rain is my favorite soundtrack for this drama. About the plot of this drama, I never watched drama that has the same plot like this. So, I found it interesting and good at the same time. So, if you curious about this drama, I will tell you the plot synopsis about this drama. Plot: This drama is about the relationship between Yoon Jin Ah and Seo Joon Hae. Yoon Jin Ah is a single woman in her 30’s. She works as a supervisor at a coffee company. After breaking up with her ex-boyfriend, she found someone who comes to her and makes her feel comfortable. Seo Joon Hae is someone that makes Jin Ah feels the real love. Seo Joon Hae is actually the younger brother of Jin Ah’s best friend, Seo Kyung Sun. After working abroad, he comes back to South Korea and feels in love with Jin Ah. 4. What’s with Secretary Kim? I watched this drama because most of my Instagram explorer was about Lee Young Joon and Kim Mi So. Most of my friends were recommending me to watch this viral drama. Actually, this drama was originally from Webtoon “Kimbiseoga Wae Geureolgga” by Jung Kyung Yoon. This drama was broadcast on tvN Korea. But, I watched it in a website from Google. So, my opinion about this drama is very romantic and somehow funny. I really like the story, the soundtrack and the characters in this drama. All of the things here, in this drama was so gewd. That I can’t move on from this drama for a month. My favorite scene is when Young Joon propose Kim Mi So by playing piano. I cannot help myself to watch this most romantic scene ever. Another one was when Young Joon asks Mi So to come to a theme park to meet Park Yoo Sik but end up seeing Young Joon standing in front of her. OMG! This was awesome. This drama was also available at international broadcasting. About their rating, they got high rating which is 7.4% worldwide. Plot: Lee Young Joon’s family runs a large company called Yeumyeon Group and he works as the vice president of the company. He is rich, handsome, and smart but he is arrogant. Kim Mi So who plays as the secretary of Young Joon has worked for 4 years and she is perfect for him. One day, Kim Mi So decided to quit her job. 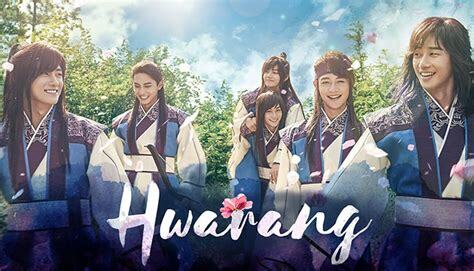 Hwarang is an old drama that I just watched this year. I know it’s a little bit old but believe me that this drama was unexpected. The released date was December 19, 2016 – February 21, 2017. The genre of this drama is historical, coming-of-age and romance. Do you know V? V BTS? Yeah, he was playing on this drama and he was so cute on this drama. Aside from V, there are other handsome men who starring this drama, they are Park Seo Joon, Park Hyung Shik, Choi Min Ho, Do Ji Han and Jo Yoon Woo. While for the female stars, they are Go Ara, Seo Ye Ji, Kim Ji Soo and Lee Da In. 6 handsome men are playing in the same drama. How can you miss this? At the first episode, Lee Kwang Soo coming as special appearance in this drama. He plays as Mak Moon or Sun Woo, A Ro’s brother. The first time I watched this historical drama, I feel so bored and I stop watching for a long time but after that, I tried to watch it again because I got many question in my mind. What will happen in the end? What is the real story of this drama? Why I got bored before the climax of the drama? Would it be good? The answers of my own questions are yes. This drama is very nice, that I cannot move on to other drama because of this. Don’t forget about the soundtrack, it has a lot of good soundtrack from great singer. I don’t know what happen but it’s really hypnotizing. I’ve read some of the article that says this drama was not good or doesn’t have a good rating but, I don’t think that way. I just love this drama with how it flows. My favorite episode is 16, when V dies. It was so sad. So, what are you waiting for? Go watch this drama and cry together. HAHAHA. Plot: This drama depicts the story of Hwarang (Flowering Knights). Hwarang is an elite group of young male during the Kingdom of Silla. This drama is somehow has a complicated storyline which has many trouble. It may be about the kingdom, family, love and the king of Silla. What if there is wonder woman in your drama? This drama made it real. Starring 2 cute couple, Park Bo Young and Park Hyung Shik. This drama was funny, lovely and cute. Strong Woman Do Bong Soon has 16 episodes and every episode will make you laugh. Strong Woman Do Bong Soon is not only about love, but also about an abduction that happen on this drama. I really like MinMin and BongBong couple in this drama. The running time of this drama is 70 minutes and it aired on JTBC. Released on 2017, this drama was nominated as Best Mini Series in 12th Seoul International Drama Awards. Plot: Bong Soon was born with superpower like strength. She got the superpower from her hereditary. She has a dream to create a video game with herself as the main character. The dream was becoming true by the help of Ahn Min Hyuk, the CEO of video gaming company, Ainsoft. He needs help from Bong Soon to protect him from anonymous threats. Meanwhile, crimes against women take place in the neighborhood where Bong Soon lives. All the complicated case is being beautifully shown in this drama. The real old drama is here. It was released in 2015. There was Choi Si Won (super junior) in this drama; he plays as the workers in The Most Company. So, I watched this drama during my holiday. I finished this drama so fast because in one day, I can watch 3-5 episodes. I got it marathon that my mom always angry to see me watching drama like crazy. But, this drama was actually a mainstream plot of drama but I do really like this drama. That’s why I put this drama into first place. What I like from this drama was about the scene, every scene on this drama was so lit and got me feel so into it. How can it be possible for the old friends got back and be a lover after such a long time? I loved this drama the most. Funny and romantic at the same time. Although this drama cannot beat how romantic Lee Young Joon on Why Secretary Kim was. But, I got Park Seo Joon playing on this drama. That’s what I like too. Starring Hwang Jung Eum, Park Seo Joon, Choi Si Won and Go Joon Hee. This drama has 70 minutes running time and She Was Pretty won the award as the Best Drama at 43rd Korea Broadcasting Awards in 2016. Plot: Sung Joon was ugly and fat boy in his elementary that he doesn’t have any friends to talked to. But Hye Jin who is popular and pretty became his friend. Their memories on rainy days made it unforgettable for both. So, after 15 years later Sung Joon returns to South Korea. He and Hye Jin are set to meet for the first time after a long time. Their appearance has completely changed that Sung Joon becomes a handsome man while Hye Jin becomes an ugly with curly hair. So, Hye Jin asks her best friend, Ha Ri to help her meet Sung Joon. What will happen next? Will they meet each other and accept the reality? Just watch! I think that’s all about this drama that I recommend you to watch. Mostly was played by PSJ. I know. It’s because, I am one of his fans. So, hope you enjoy reading this post. See you on my next post.